VW's beleaguered board met today in Wolfsburg to name a new CEO. But deeper reforms may yet be needed to escape the dieselgate cloud. VW have appointed Porsche boss Matthias Muller as CEO, as expected. At a press conference the emissions scandal was labelled a 'moral and political disaster' (you don't say...) and an extraordinary shareholder meeting was called for November 9. So what did her have to say for himself? 'My most urgent task is to win back trust for the Volkswagen Group – by leaving no stone unturned and with maximum transparency,' Muller said in an official statement. You can read the rest of it here - that was the easy part, as MT explains below. The (still-unconfirmed - anyone would think it's a Friday night and they're expecting people to be out on the lash) new boss' job is only getting harder, as authorities around the world tighten the noose around the carmaker. 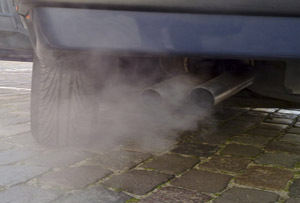 Germany's transport minister has said 2.8 million vehicles in VW's home country have been affected by the 'illegal' fake emissions tests, which Bloomberg is reporting was directed from its Wolfsburg hq. VW's shares fell another 4.32% today to €107.30 (£79) and have now lost more than a third of their value over the scandal. The new head of Germany’s largest manufacturer is expected to be the current boss of Porsche, Matthias Muller. But the appointment will not be made official until after today’s board meeting at the firm’s Wolfsburg HQ. There’s plenty for them to talk about – what with VW suddenly finding itself public enemy number one in the eyes of US regulator the EPA, having admitted selling 11 million diesels globally with emissions-dodging software installed – so the meeting could be a long one. All the same MT would love to be a fly on the wall. Not least because what was a long-planned gathering of the clans intended to anoint ex-CEO Martin Winterkorn for another five years, has now ironically been co-opted for a very different purpose. A week is a long time in business, not just in politics. Winterkorn – who resigned on Weds – is unlikely to be the only casualty either. More heads are expected to roll today, the three hot favourites for defenestration being the firm’s US boss, the head of R&D at Audi and Porsche’s engine chief. VW’s top team will be hoping that such prompt action will be enough, if not to stop the scandal in its tracks, then at least to apply to brakes and allow them to regain some control of the situation. But the likelihood is that it will not, and that a much more significant restructure of VW’s famously idiosyncratic ownership and management structure may eventually be required. From a governance point of view (bear with us, this is much more interesting than it sounds), VW’s issue is that despite its size and the variety of stakeholders involved, it is essentially a family business. This is because of the highly-unusual disparity between economic stakes held and voting rights at VW. Here goes on a quick shareholder run-down. Porsche Holdings owns a 31% stake but is in de facto control with almost 51% of the voting rights. (In turn 50% of Porsche Holdings is owned by the Porsche and Piech families - hence the family business tag). The State of Lower Saxony owns 12% but has 20% voting rights, and Qatar Holdings owns 15% but has 17% of the votes. Other minority holders account for 40% of the shares but only 12% of the votes. To say the least this is a pretty unusual set up by global standards. And as we know from previous scandals, large international shareholders and markets generally only tolerate such ‘special’ arrangements grudgingly, and while things are going well. Before the crisis wiped over 30% off their value, VW’s share were already trading at a substantial discount in regard to forward earnings than those of more conventionally-arranged rivals. When there’s trouble - and boy is there trouble for VW right now - the pressure to make radical changes in order to conform rises dramatically. Even the political protection historically afforded VW by a jealous German government may be weakening. Furthermore, the family influence can cut both ways. Stability can be a good thing, but not if groupthink is allowed to flourish as outsiders with novel and necessary new thinking are not welcomed. It may be no co-incidence that Dieselgate has blown up during a period when Winterkorn and his former mentor, VW patriarch Ferdinand Piech, were at loggerheads over the future leadership of the firm. Such power struggles can be hugely distracting. (Although they will probably continue - it has long been an ambition of the Porsche family to have a Porsche at the wheel of the VW Group. Today they may get their wish). So the longer term questions are, do any of VW’s current leaders retain sufficient credibility to carry on, and will the firm have to bow to international pressure to reform its entire structure? Whoever ends up taking over the hot seat, faces one of the sternest tests of CEO succession around. Fingers crossed they are up to the task.